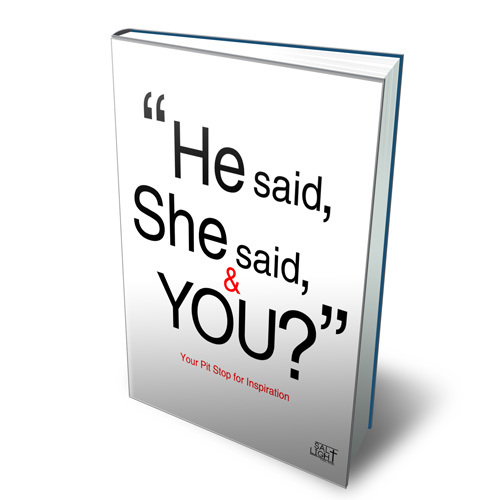 It’s been a week since I launched my first e-book “He Said, She Said, and YOU?” (Click HERE for FREE Download PDF) The response so far has been overwhelmingly positive and supportive. Well, to be honest, I’ve been collecting stuff all my life. Since my freshman year at college, I’ve started building my repository of quotes. Strengths Finder 2.0 diagnosed this uncanny propensity as “Input” strength. People who have a strong “Input” strength are like miners who searches for gold day after day. They continually collect new bits of knowledge. Like world travelers, those with the Input strength pick up a variety of souvenirs from reading, data, insights etc. As my blog focuses around intentional living, leadership, personal growth, and Christian living, I wanted to offer a quote book that elicits inspiration in these four areas. I’ve decided to choose 25 topics or pit stops that will be your wellspring of inspiration in your daily life, including “Attitude”, “Dream”, “Excellence”, “Failure”, “Humility”, “Intentional Living”, “Success”, “Serving” and many more. Most importantly, this is not your normal quote book. It is beautifully designed by my friend and designer Sangkyu Park and includes a space where you can write your own thoughts, quotes, and ideas. – Build your own quote book as well. To DOWNLOAD the FREE Quote book, click HERE. If you’ve already subscribed to my blog and benefited from the quote book, I’d like to ask you a one big favor! Please help me out by forwarding this blog post to seven friends and family or share this on your Facebook or Twitter page before Sunday, June 9th! The book launch will officially end on Sunday, June 9th 11:59pm. Thank you all for your support and encouragement.